HR professionals are always on the hunt for the elusive secret sauce; the practice, process, or mentality that could transform a good corporate culture into a great one. What do employees value the most, and what truly makes them happy enough to stick around? And from the business perspective, does a positive corporate culture really contribute to better overall success? 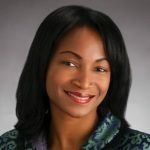 We spoke to Chinwe Onyeagoro, president of Great Place to Work, about the organization’s mission to help companies build and sustain high-trust, high-performing workplace cultures, and realized there’s a lot more to it than meets the eye. How did you find yourself at Great Places to Work and what did your path there look like? I spent about 10 years in management consulting, working with executive teams at Fortune 500 organizations to come up with strategies on how to win in the marketplace. What we found is the winners were not the folks who were creating the strategies, but the folks that were cascading those strategies down throughout the organization. Those that win on execution, win on everything. What are the most common attributes of the best companies to work for? There are two important things that you’ll see in pretty much every “best” company. One is a commitment from the top. Leadership is committed to making sure people are supported to do their best work because they realize the role people play in the company’s success. Secondly, the best companies are fierce about measuring where they are. They don’t take anything for granted in terms of employee experience, realizing that every interaction with an employee is an opportunity to build, break, or rebuild trust. It’s like a muscle—to strengthen it you have to constantly work on it. The three criteria you use when selecting companies for the “Great Place to Work” list are colleague trust, pride in work, and camaraderie. Why are these the most important variables to measure? When our founder Robert Levering got started, his suspicion was that the best places to work would be the companies that had the best perks and benefits. But when he toured the country talking to thousands of leaders, he learned that it was really about the quality of the relationships employees had with their organizations. When you think about that, it actually makes sense—the fundamental, basic tenant of human relations is that we respect one another and treat each other fairly. Organizations are simply groups of people that work together in pursuit of executing a shared mission. The quality of those relationships will determine how well we work together, how clear we are about that shared view of excellence, and the extent to which we’re dependable in executing that mission. That’s why trust—the extent to which we trust the leaders we work for—pride, the relationship we have toward our job, and comraderie—the relationships we have with each other—are the most important foundational aspects of a company. Why is positive company culture such a successful business strategy? Our 100 best companies, specifically the publicly traded ones, have consistently outperformed the market by a factor of 3X, year over year, for 20 years. This is not a coincidence. What we find is when you are a great company, you’ve created high trust that enables people to do their best work. When people do their best work, they deliver for clients, employees, team members, and shareholders. If you can figure out how to unlock each person in your organization, you’re just creating more value. If two or three people out of every 10 are not unlocked—maybe they’re thinking about updating their LinkedIn profile, or taking an interview—you’re leaving money on the table. If they’re not all in, they’re not executing at a level you need them to every day. Great Places to Work has a list for seemingly every category—best place for women, best place for Millennials, and so on. What are some of the variances in what different groups of people want from their workplace? Regardless of the demographic everybody wants to be treated with respect, but how that respect is demonstrated shows up differently for different people. For instance, the headlines for Millennials—that they’re not loyal, they aren’t patient, and don’t stay with organizations—just aren’t true. What we find is when a Millennial is working for a great place to work, they’re actually 25 times more likely to stay than Gen Xers and the Boomers. So how do you translate that into action? Through learning and development—and I’m not talking sitting in a class learning a technical skill. What they really want is feedback, exposure to new and different things, ways they can contribute to the business, and promotions based on their contribution rather than on their tenure. When we look at best places to work for women, we’re seeing something different. Again, the headlines suggest you’ve got to have good work-life balance and great perks for parents. Sure, that’s important, but we find there are two important things for women: a sense of purpose and accessibility. If they are going to be spending time away from family, they want it to be meaningful. They want something that they can stand on to say, “This is my legacy and I’m extending it to you, as my family, in making this contribution.” Women also want to feel like they have reach and access to their leaders. If they don’t feel a sense of safety in connecting with their leaders, then they don’t feel like they’re heard. If you could offer one piece of advice to a company trying to improve its culture and make it on one of your lists, what would it be? Be the change that you want to see. Oftentimes we work with organizations and individual clients that think it’s someone else’s job to do it, but it really starts at the individual and team level. Think about the experience you are creating for your team, how that is reflective of the values of the company, and what you could do differently to inspire those around you. That gives people a clearer sense of where they’re going as a company, and ultimately ensures that they feel the benefits as the company continues to grow and thrive.